Saint Tropez is easily one of the most romantic destinations on the world map, with white sandy beaches, exquisite seafood restaurants, first-class hotels and chic beach clubs like Club 55 making this charming fishing village one of the favourite weekend breaks for those who own Monaco property. 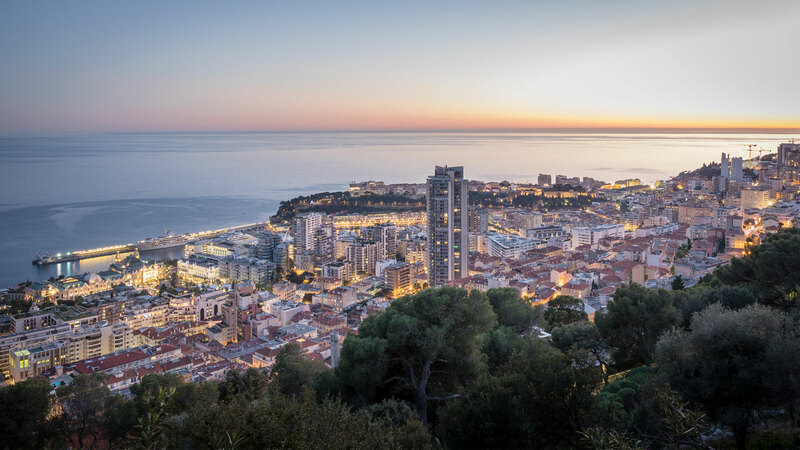 It is also tantalizingly close to the Principality; a transfer by helicopter from Monaco to Saint-Tropez takes just 25 minutes. Even nearer to Monaco than Saint-Tropez is the beautiful hilltop town of Saint-Paul de Vence. Take a wander through the medieval town, stopping at the plethora of art galleries and luxury boutiques which line the cobbled streets. The views from the town’s ramparts are stunning, as is the selection of excellent restaurants such as La Colombe d’Or, one of the South of France’s finest institutions and a must for romantics, with original artwork from the likes of Picasso and Matisse hanging on the wall. Heading west from Monaco is the delightful and romantic port of Portofino, on the Italian Riviera. Romantics will adore this picturesque port, surrounded by quaint restaurants and bars, with a number of boutique hotels within walking distance of the sea. Portofino is extremely popular especially in the summer months so if you are planning to surprise your partner with a romantic weekend away from Monaco, do make sure you reserve accommodation in advance – the Belmond Hotel Splendido is the place to stay! Ile de Porquerolles, or simply Porquerolles, is one of the most breathtakingly beautiful destinations in the South of France, and an easy distance from Monaco for a magical and memorable weekend. The island is the largest of three islands situated off the peninsula of Hyeres, a 2-hour drive from Monaco’s luxury real estate. Ferry boats leave for la Tour Fondue; on the islands, Le Mas du Langoustiers is the perfect weekend venue for those looking for something extra special for a weekend à deux. Slightly nearer to Monaco is the beautiful hilltop town of Mougins which was the home to Pablo Picasso for the last 15 years of his life. The famous artist chose this pretty spot as the location for his final workshop, which enjoyed incredible views over the Bay of Cannes. Romantics looking for a very special place to stay from Monaco should try out the elegant Le Mas Candille, a five-star hotel and spa located in the heart of the medieval village. The village boasts a number of excellent art galleries and restaurants and is a delight just waiting to be discovered on a romantic weekend from Monaco.